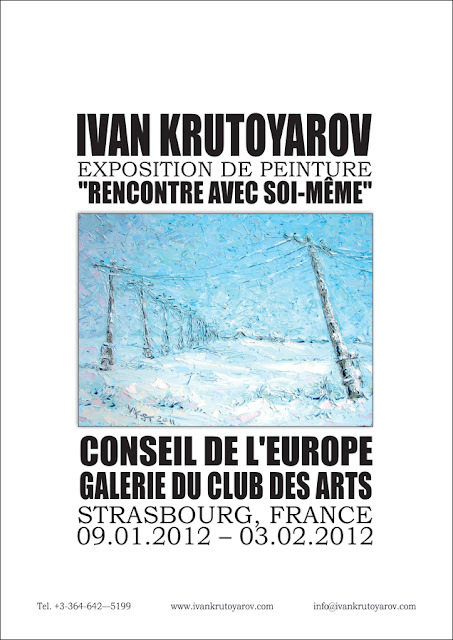 Opening ceremony of exhibition of paintings by Ivan KRUTOYAROV "Meeting with Myself" will be held at the ArtClub Gallery of the Council of Europe on 10.01.2012 at 5.30 PM at the address: Avenue de l’Europe, F - 67075, Strasbourg Cedex, France. The exhibition will feature the artist's paintings of two periods: 1984-1989 and 2010-2011. The exhibition will last till 03.02.2012. Ivan Krutoyarov's painting distinguishes itself at Russian exhibitions of modern artists by pensiveness, concentration, fascinating romanticism. The artist, teetering on the edge of styles, undoubtedly, has his own hand and manner, being a rich heir to the traditions of Moscow pictorial school and admirer of European neoimpressionism. "Expressive impressionism" of Krutoyarov is notable for its philosophic content combining the value of what is painted with the way how it is painted. While expressionists interpret the energy of colour not only as means of passing on the idea of artwork's content but also as the content itself requiring no subject, and impressionists concentrate at stopping beautiful moment in every way possible, the art credo of Ivan Krutoyarov is the combination of power of colours with the depth of the subject's sense. Painting technique perfection is not an end in itself for the artist, he addresses himself, first of all, to the spectator - an individual, but not to his aesthetic sensibility. He is unconcerned, subjective, needs no external influence, self-sufficient and extremely faithful to himself. In philosophic works "Life is a Gamble", "Forgotten Soul", "Alms of Hope", "Wanderers" the artist uses colour and texture of paints as means of influence upon the feelings and emotions of the audience. He manages to pass on the whole range of feelings - from the surface ones, such as rest, confusion, anxiety, hope, sadness to the most deep, intuitive feelings which are frequently not clearly realized. In Ivan Krutoyarov's paintings refinement is combined with touching naivety, giving rise to syncretism of frank sincerity of composition solutions and infinite tenderness of colours sounding in paintings "Red Winter", "Winter Dream. Russian Cruise". A postulate is more and more asserted in modern art criticism stating that in good artwork colours, lines, composition are tuneful. When describing and characterizing Ivan Krutoyarov's artworks it is impossible to do without the theory of interaction of colours and musical tones formulated by ancient Greeks. All the creative work of the artist is surprisingly musical, and painting "Sviridov. Snowstorm. Romance" is embodied harmony of silver colour, light and sound. Exhibition "Meeting with Myself" features paintings by Ivan Krutoyarov of two periods: 1984 - 1989 and 2010 - 2011. 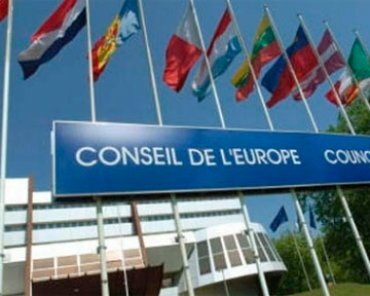 Twenty years separating the artworks were the time of experience of trials and errors during self-discovery, invaluable for the artist. There is something he can tell the spectator, he's got something to share with. Being successful in inartificial activities, Krutoyarov came to recognition of his own inability to live outside painting, to the fact that searching of one's own way is not an achievement yet - it is necessary to travel this way, and severe reality of everyday life must not push a man off the way leading him to meeting with himself. In Krutoyarov's paintings the power of expressionistic thought is combined with the refined fineness of pictorial vision. The desire for harmony in the perception of the world which became rare in the art of the last three decades gladdens by the "light sorrow", but neither the subject nor highly professional technical workmanship determines the meaning of a painting. The most interesting aspect of art is the artist's personality, and if it is as original, as that of Ivan Krutoyarov, the critics are ready to admire.